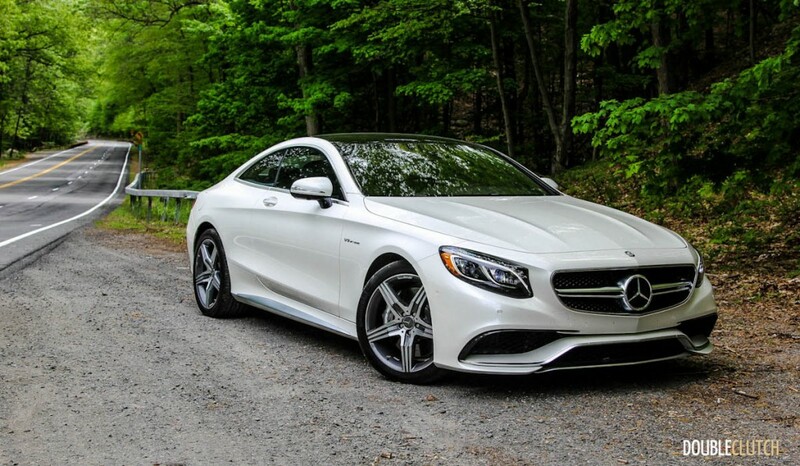 The S63 AMG Coupe packs some of the most perfected technology Mercedes-Benz has to offer. 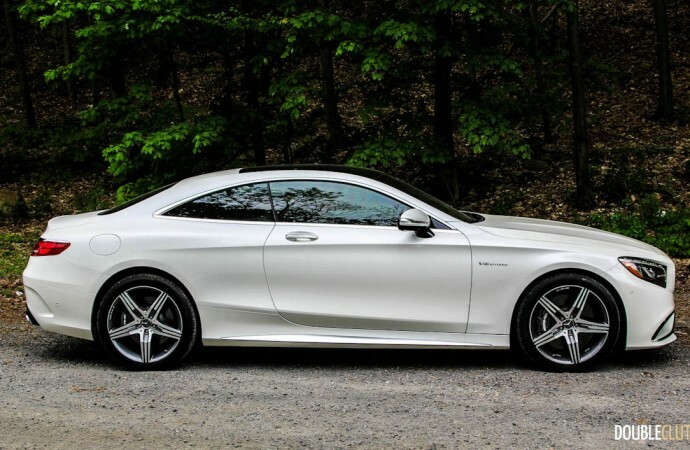 Large executive touring coupes are becoming a thing of the past. 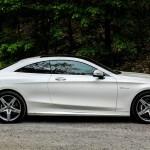 If you look at the North American automotive industry dating back roughly fifty years ago, it seemed as though every single manufacturer was a player in the large coupe game. 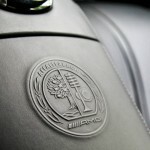 Now, the only large two-doors that hail from the Americans are the trio of muscle cars. 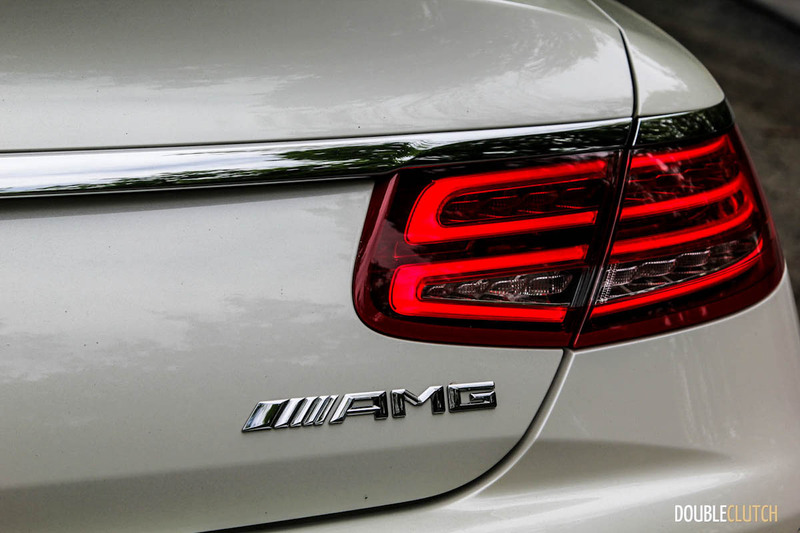 There are a few scattered entries around the world, but other than BMW and Mercedes-Benz, no one has stayed up-to-date with this market. 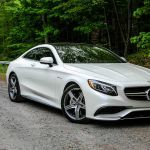 Within the Mercedes-Benz lineup, there is the two-door E-Class as well as the big kahuna, this 2015 Mercedes-Benz S63 AMG Coupe that I borrowed for a test. The regular S550 Coupe is more than enough car for the majority of buyers, and prior to this test, I maintained that it’d be the one I would have. One of our writers referred to the S550 as a “veritable superlative on wheels; one of the most sensational automotive masterpieces to grace our roadways”. 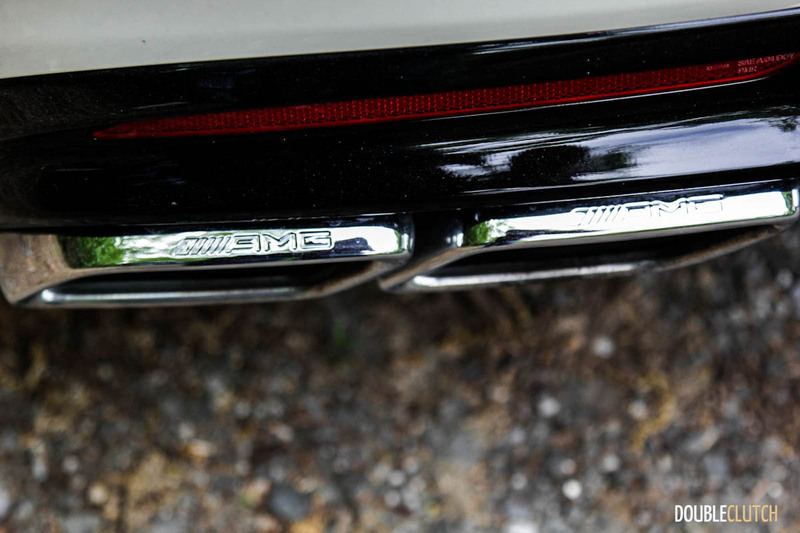 This is perhaps the most accurate description of the two-door S-Class, a car made for the wealthy with only the finest of tastes. 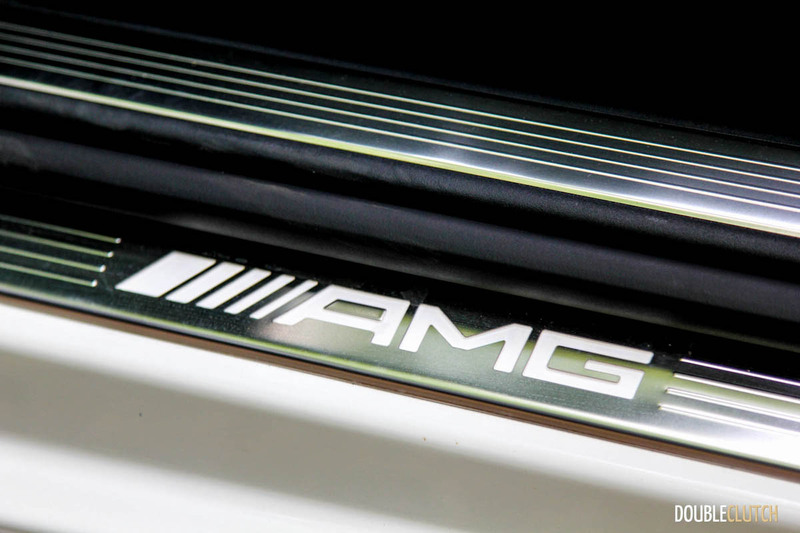 After that car was sent over to the good people of the AMG performance center, it was only expected for it to return with a heart capable of beating a little bit faster. 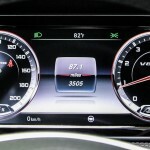 “A little bit” is purely relative – the twin-turbocharged 5.5L V8 under the hood of the S63 AMG is an absolute monster. This is the motor that was developed to succeed the legendary naturally aspirated 6.2L that the AMG “63” cars used to house. 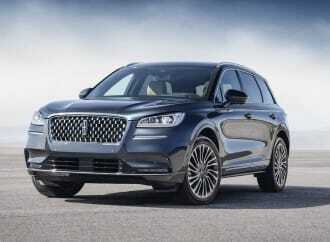 The new 5.5L block is good for 577 horsepower and a ground-crushing 664 lb-ft of torque. 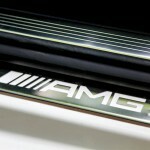 Though it’s electronically governed to 250 km/h, AMG offers an upgrade to an increase. 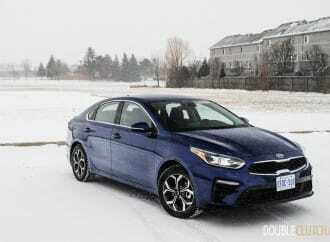 Upgraded cars are capable of hitting 300 km/h in a straight line, but we don’t expect any buyers to opt for this flash unless they’re planning to be regular track day attendees or Autobahn stormers. 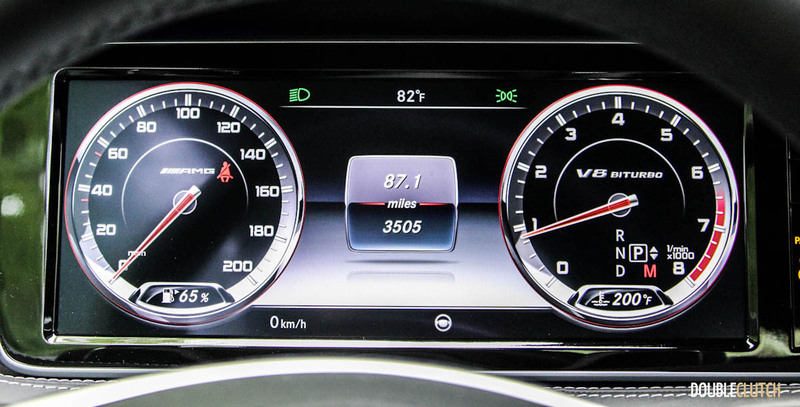 With the S63, a hundred kilometers per hour arrive in just 3.7 seconds, allowing the big tourer to approach supercar performance. 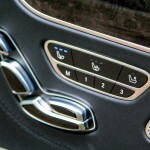 Because they’re Mercedes-Benz, there is no manual transmission offered. 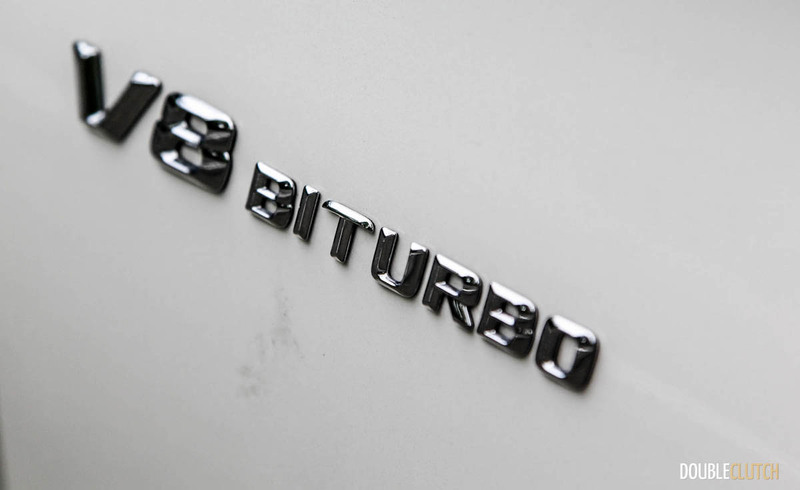 The only available gearbox in the S63 is AMG’s seven-speed Speedshift dual-clutch unit, which uses a wet starting clutch here rather than a torque converter. It shifts more than adequately, and with available sport modes and paddle shifters, I didn’t miss the third pedal in the slightest. Of course, we’re finally approaching that stage in the industry where electronic transmissions are capable of shifting much faster than any driver can shift a manual gearbox. 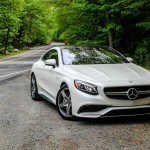 Thanks to the tall seventh gear, highway economy is kept at a reasonable point – I’ll never forget the previous-generation CLS63 S-AMG we tested last year that’s amongst the thirstiest vehicles we’ve ever brought home. 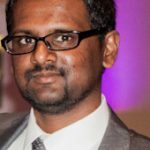 What am I going on about? 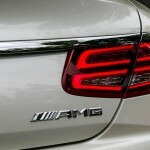 Since when do AMG buyers care about fuel mileage? 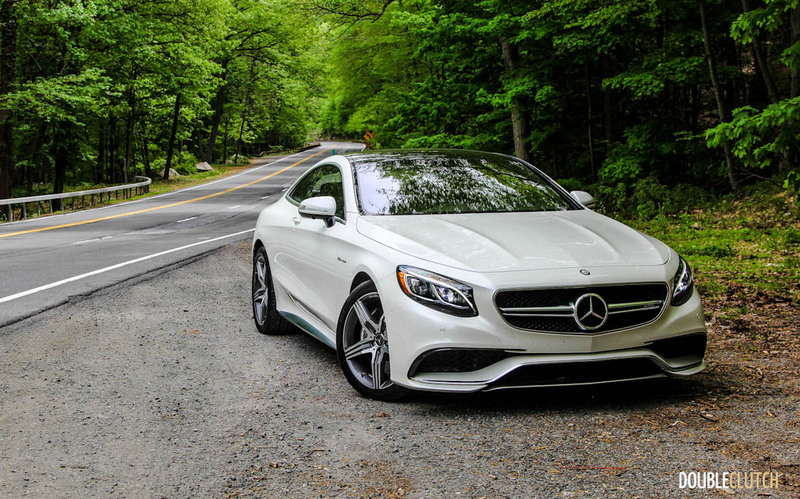 It’s all about technology, brand history and heritage – the S63 AMG Coupe packs some of the most perfected technology Mercedes-Benz has to offer. 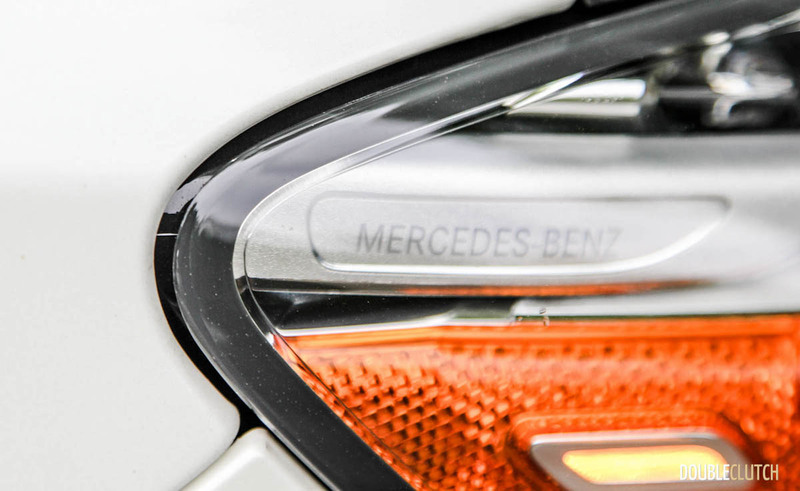 The 4MATIC all-wheel-drive system is performance-tuned and optimized for the perfect amount of balance in any situation. 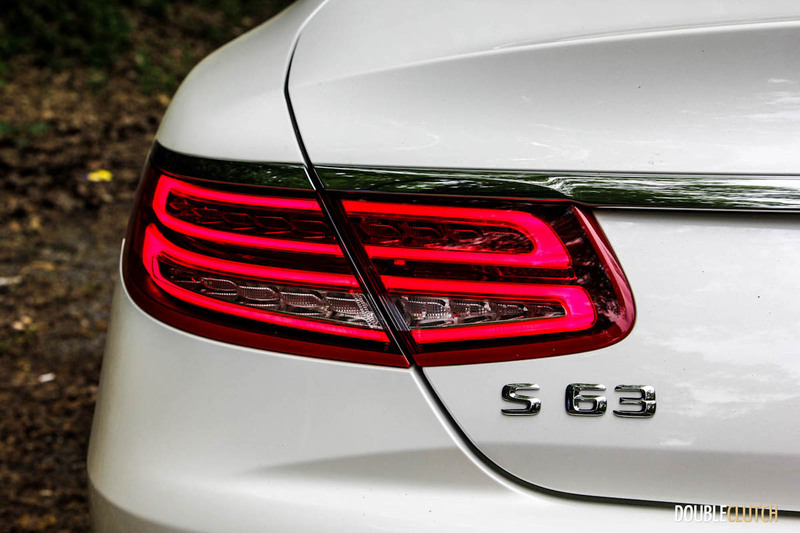 In the S63, it sends 67% of available torque to the rear wheels, and the front wheels have been given a little bit of negative camber for better grip. Handling is sublime for such a large vehicle (just over 4500 lbs.) 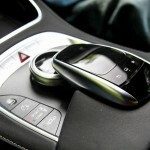 and there’s actually a great amount of feedback through the wheel – it’s not as isolated as the standard S550 is. 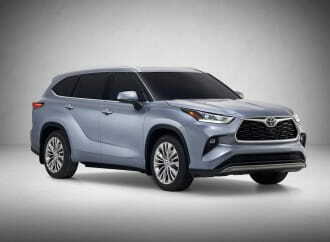 A torque-vectoring system that’s based on the braking system helps the car change direction like nothing else its size can, and the AirMatic air suspension system does a phenomenal job keeping the body stable during hard cornering. 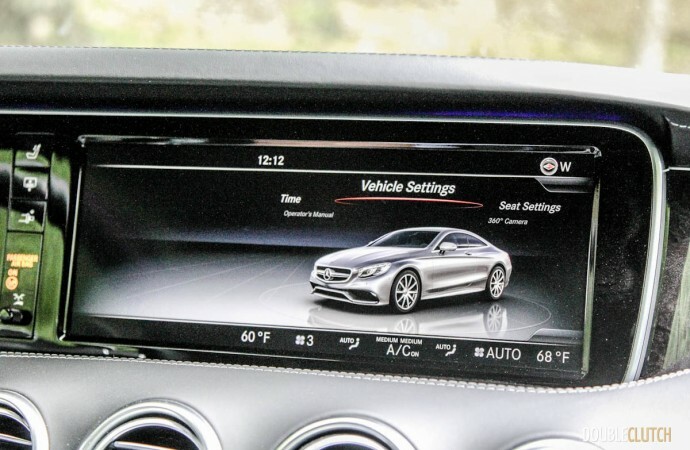 The suspension is exceptional when in Comfort mode, as expected from Mercedes-Benz, but when you flip this over into Sport mode, it’s unnecessarily thrashy. 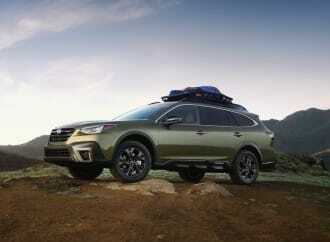 Along with being firm and confident, the cabin crashes a little bit more than required over bumps, which meant I preferred the cushier modes for most environments. 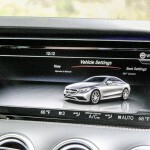 Seeing as this is the AMG model and not the “regular” S550, I would have liked to see launch control included or even as an additional option – this omission is also the case with the sedan, so the coupe isn’t on its own here. 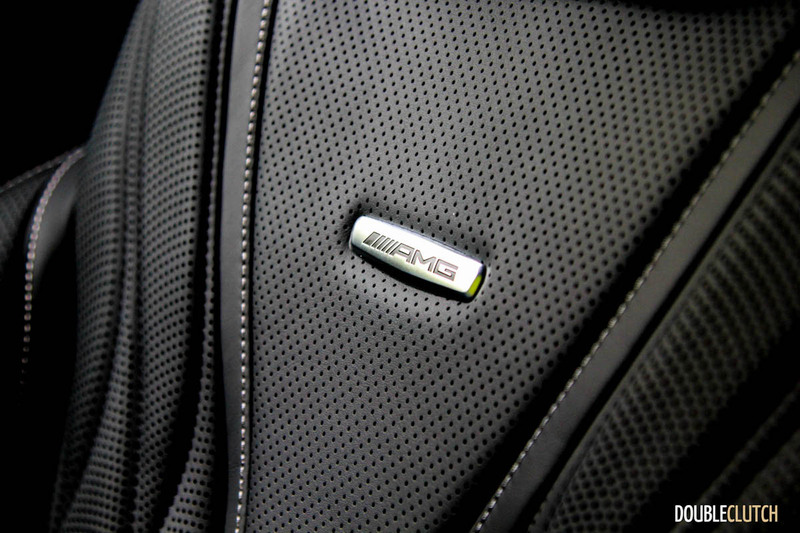 It’s not like anybody reading this is curious about the AMG’s fuel mileage, but it’s an unavoidable part of reviewing a vehicle. However, it’s important to note that our test of this vehicle wasn’t a full week or a full cycle. 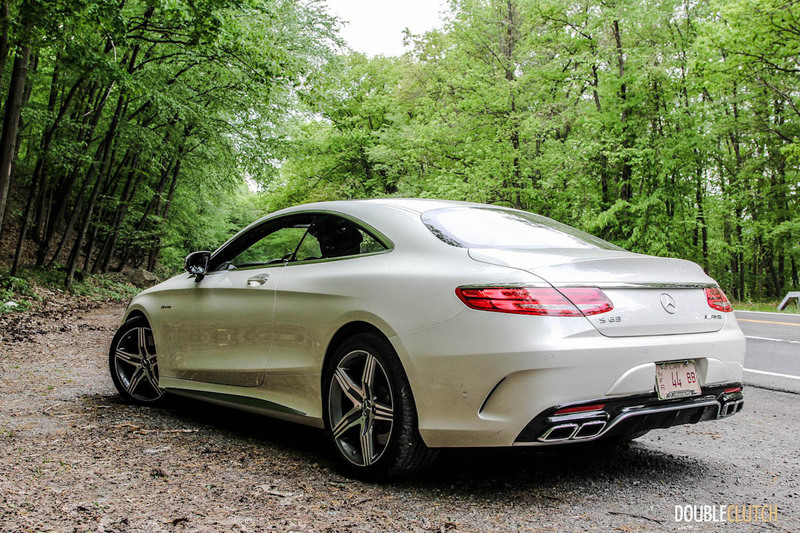 Using only 94-octane premium fuel, we were able to squeeze 8.7L/100km highway out of the big S63. 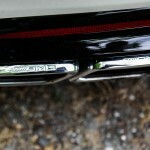 City mileage was as poor as 14L/100km, for a combined 12.2L/100km over our test period. 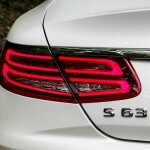 The 90L fuel tank means the S63 can go a considerable distance before having to be refueled. 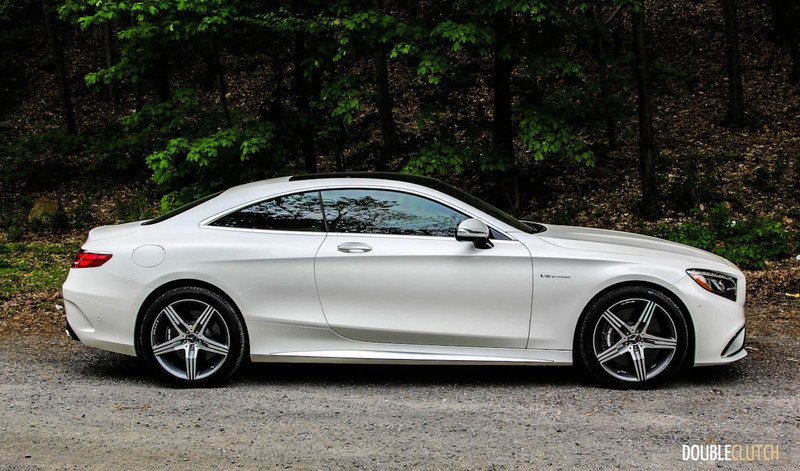 Like the S-Class sedan, the S63 Coupe is a huge car with an intimidating presence on the road. 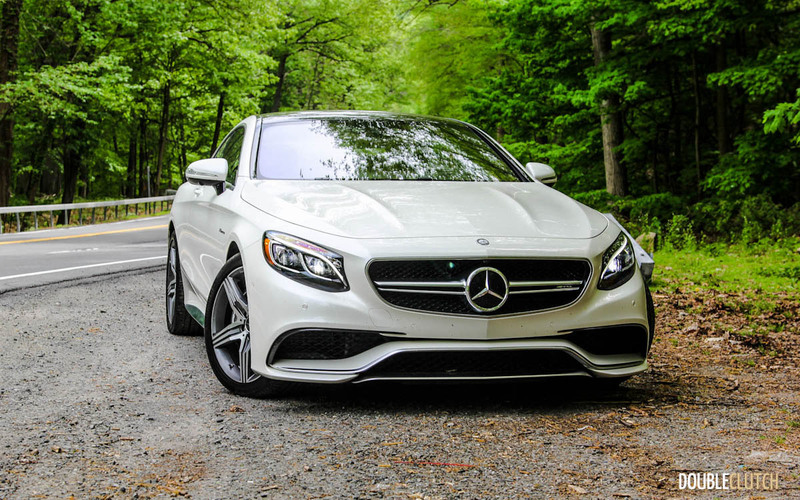 The 115.9-inch wheelbase is 8.7 inches shorter than the S63 sedan, which definitely gives the two-door an advantage in handling. 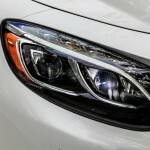 The car is an overall 9.5-inches shorter than its sedan counterpart, but still comes in at just under 17 feet in length. 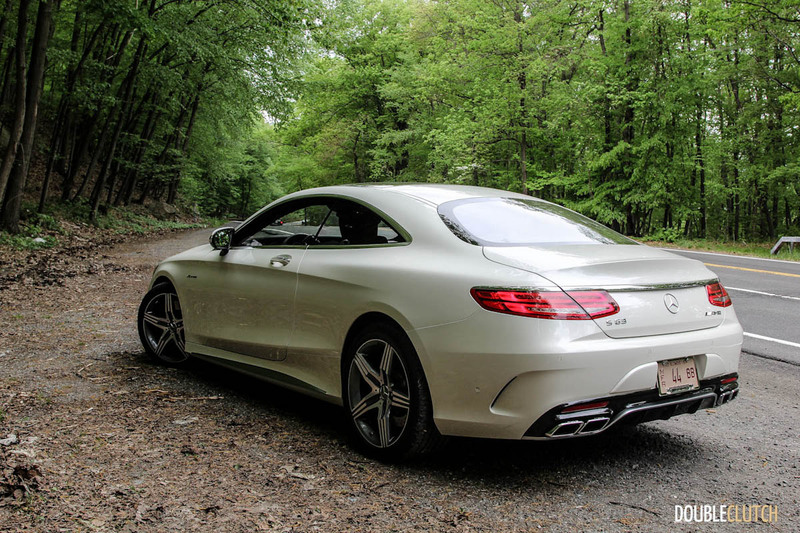 Despite its size, the S-Class Coupe is one of the most beautiful vehicles on the road today, and its design is likely my favourite out of the Benz stable since the original 300SL. 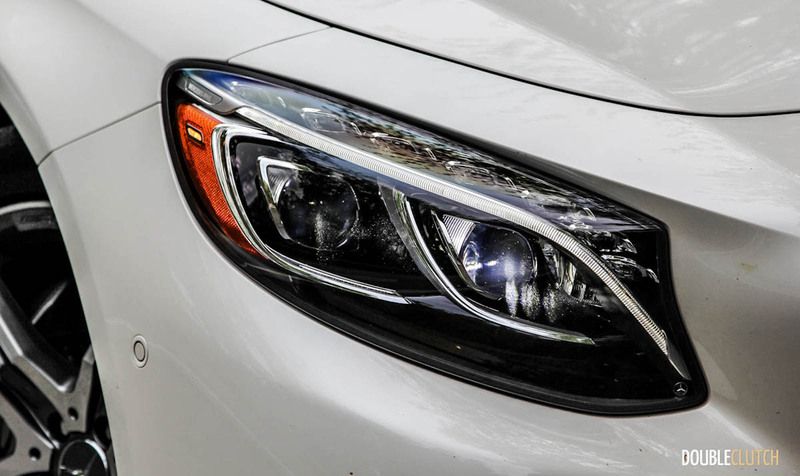 The long hood, dazzling body lines and swooping roofline, muscular hips and stunning lighting throughout the exterior stand out – this is a car that will remind you that love at first sight is a real thing. 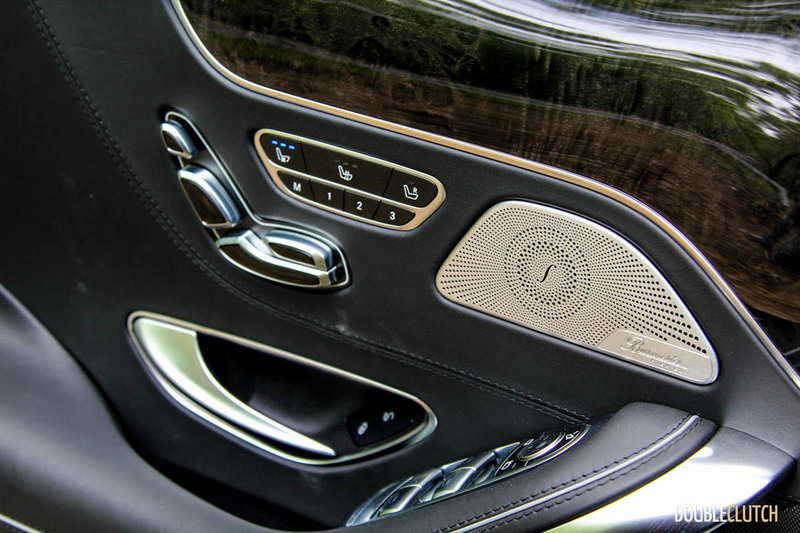 The S63 AMG’s beauty doesn’t stop at the exterior either – the interior is a place of grandeur and opulence suited to the most deserving. 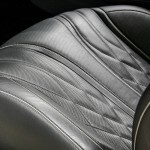 Every surface you can see, feel, or even think of is wrapped in fine woods (Anthracite Poplar), aluminum, and leather. 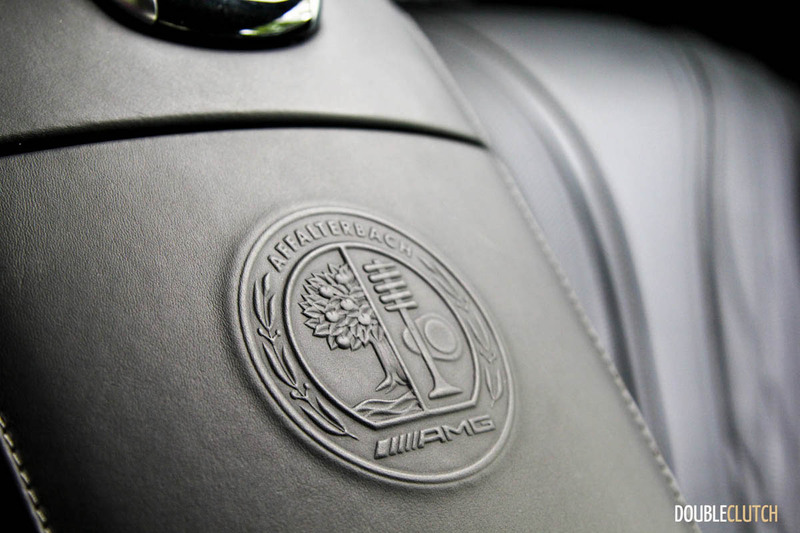 The AMG leather seats are dyed “Black Passion” and the surrounding pieces including the console, arm rests, dashboard, and steering wheel are also finished in fine leathers that please the eyes and fingers. 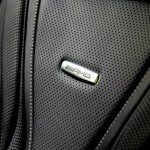 The headliner is Alcantara and the large sunroof brings the perfect amount of light into the cabin to make your drive just that much more perfect. 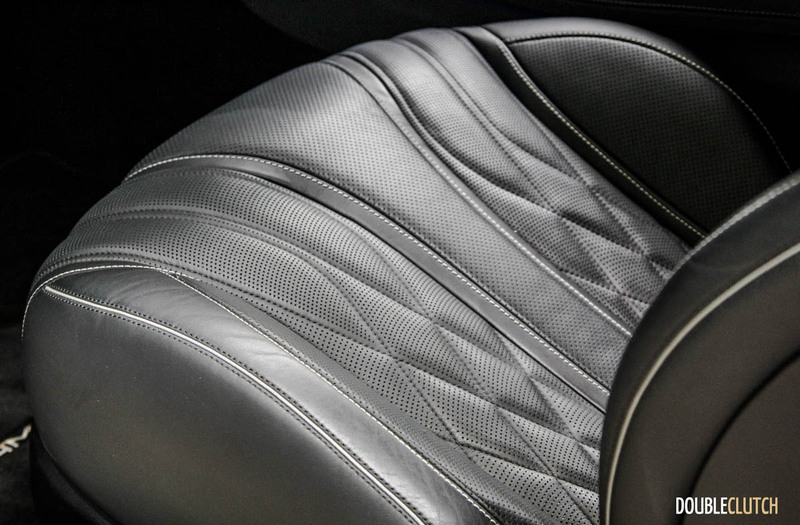 Luxurious materials go a long way into reminding you of how upscale a vehicle is, and the technology integrated within them go even further. 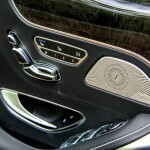 The S63’s seats are heated, air-conditioned, and offer many massage settings that go from gentle all the way to vigorous. 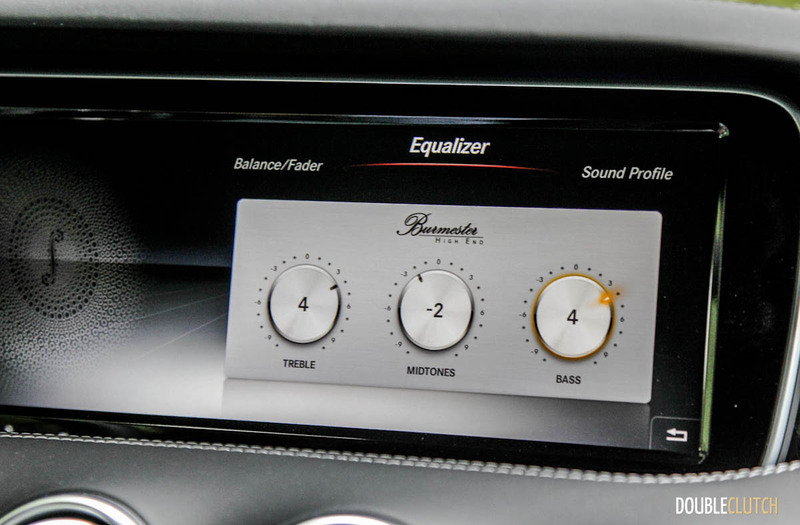 The Burmester High-End surround sound system is easily one of the best in the world, and the speakers remind you of this with their beautiful brushed-metal grilles with stylish “f” patterns. 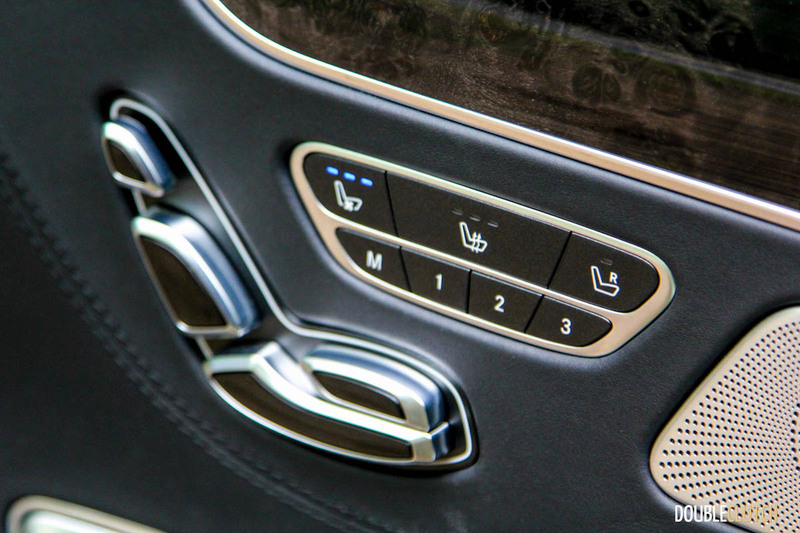 A heated steering wheel and mirrors are standard, but the icing on the cake is that the armrests also boast heating – how about that. 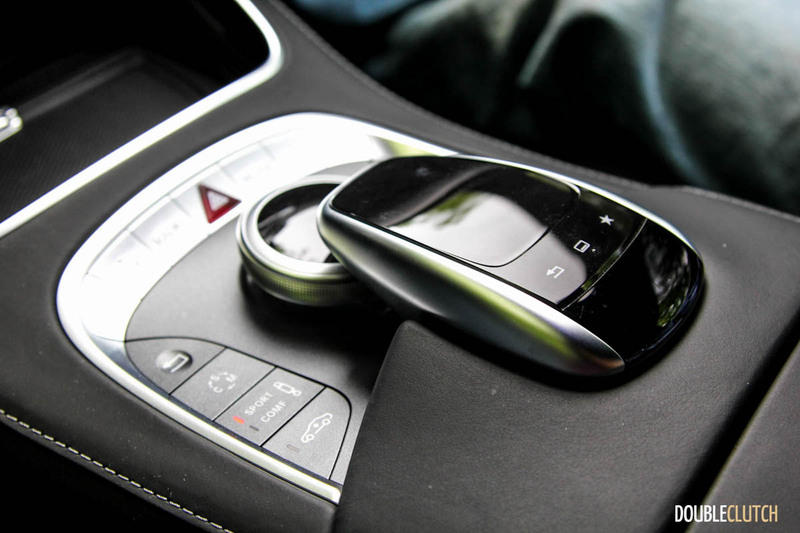 There’s also a built-in fragrance, known as the active perfuming system, which is able to send one of four interior fragrances through the cabin at varying intensities. 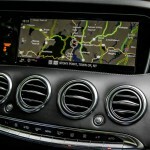 The latest iteration of Mercedes-Benz’s COMAND infotainment system is controlled via a 12.3” high-resolution screen that stretches across the entire dashboard. 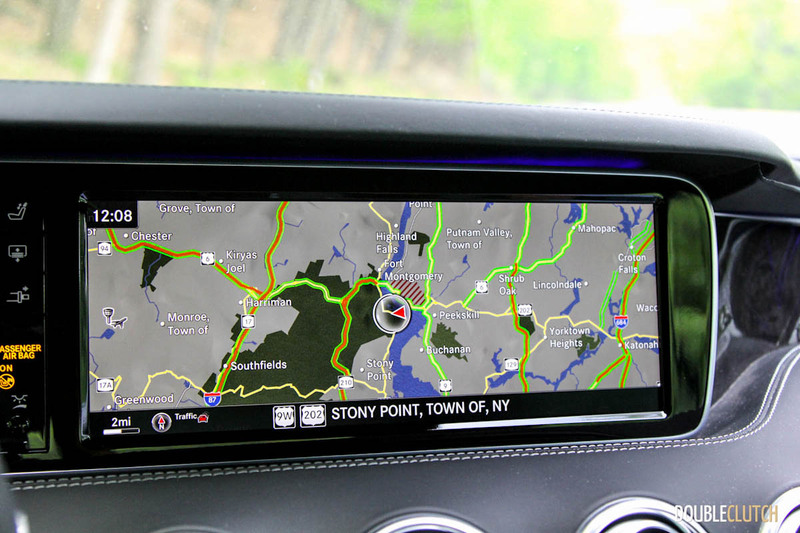 Save for the excess that is the Tesla Model S, this is one of my favourite current screen setups. 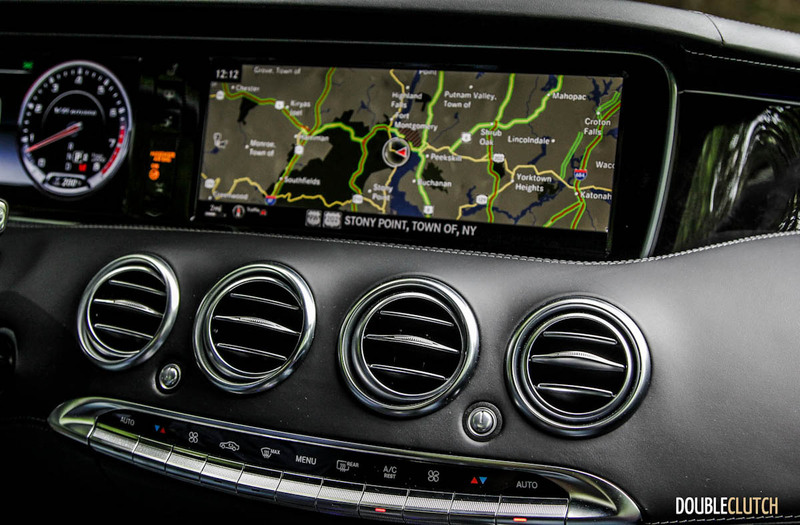 Along with the usual connectivity features, the S63 features a plethora of safety and tech features including Crosswind Assist (which helps offset gusts of wind for even more sumptuousness), collision avoidance nannies, and of course, night vision. 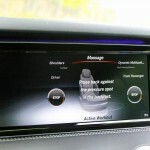 Better than night vision setups from Audi and BMW, this unit is flawlessly sharp and quick to pick up objects before they appear in the driver’s sightline. All of this lavishness comes at a price though, and it’s not exactly palatable for the typical North American. 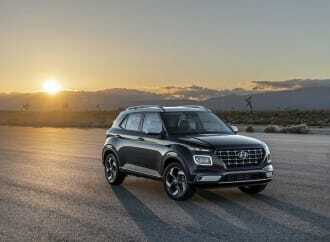 This isn’t a mainstream car though, and it’s intended at a very specific type of buyer – one with a certain net worth and who will appreciate the amount of research and development that has gone into developing such an intricate machine. 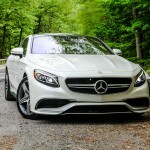 In Canada, the 2015 S63 AMG Coupe starts at $174,800. 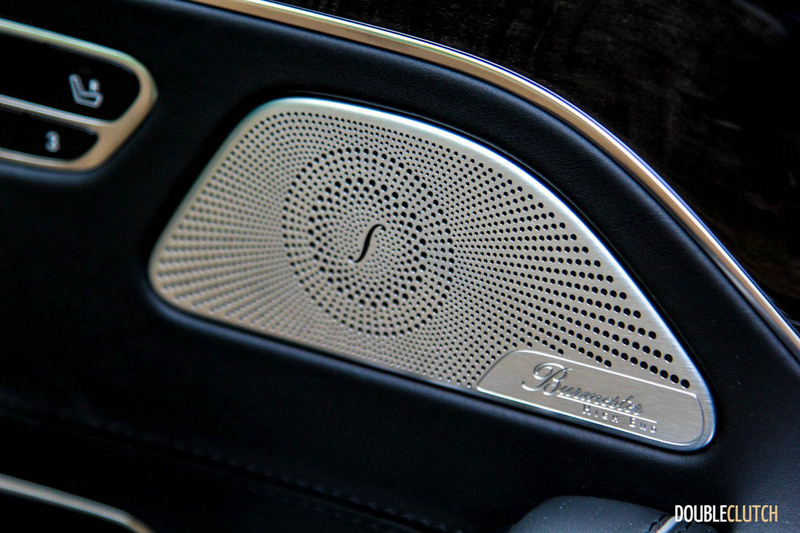 Our tester added the Exclusive Package which adds exclusive Designo Nappa Leather and AMG Exclusive floor mats for $4,200, the Burmester stereo for $6900, Night View Assist Plus for $2900, Swarovski Crystal LED headlamps for $4000, and Magic Sky Control for $5,000. 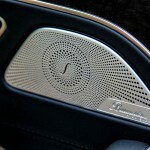 All this brings the as-tested sticker to $193,600 before taxes or PDI. 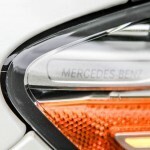 It was a pleasant change to see Mercedes-Benz do away with the “CL” nomenclature and rename this car what it was in the first place, an S-Class Coupe. A sublime car in every sense of the word, the S63 AMG may not sport the same driving dynamics as the pure-performance BMW M6, but is able to offer an all-rounded experience that makes it endurable both as a track monster as well as a personal executive coupe. 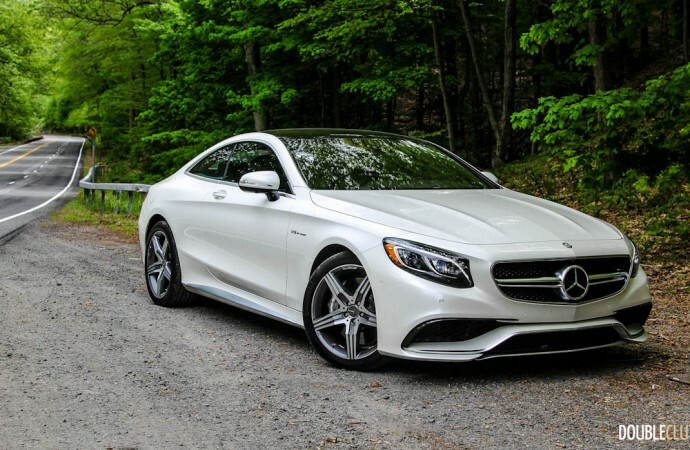 The 2015 Mercedes-Benz S63 AMG Coupe boasts timeless styling, more technology than you can think of, and unmatched build quality superior to anything and everything else on the road. 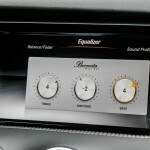 Oh yeah, and there are almost 600 horses under the hood to sweeten the deal, too. 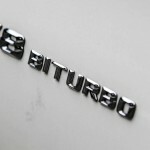 Save for a Bentley Continental GT, you can’t find this combination anywhere else on the market – Mercedes-Benz has done it right.